Pie is delicious, whether it’s apple, blueberry, or pumpkin. Get ready to grab another slice, as the baked dish is the name of the next version of Android. Android 9.0 Pie is here, right out of the oven, and it’s coming to a phone near you soon. Here’s everything that’s new in Android 9.0 Pie, and you can read more in our Android 9.0 Pie hands on. You can also take a look at our guide on downloading Android 9.0 Pie to taste it for yourself, and follow our Android update schedule guide to see when your smartphone will get the new version. Google’s Pixel and Pixel 2 devices will receive the new version first, as well as Android One devices, and any other device that was eligible to partake in the Android Open Beta. Google believes strongly that your phone should be intimately yours, and should adapt to your life, rather than the other way around. Android 9.0 Pie is bringing several features powered by artificial intelligence (AI). These additions are general quality of life improvements, so don’t expect them to drastically change the way you use your phone. App Actions is a new feature built into the App Drawer, suggesting actions based on your typical smartphone habits. So if you call your mom at the same time every day, expect a button to appear in the App Drawer that will directly start a call with her. If you plug in your headphones, App Actions may offer up a quick link to the playlist you were listening to earlier, saving you a few clicks. Slices is another of these improvements that allows developers to deliver useful actions for their app. For example, if you search for Lyft in your phone, an option could appear showing you how far the nearest car is, and allowing you to book a car without opening the app. Slices isn’t available just yet, but you can expect it to show up later this fall. Other additions are even more background-focused, but just as handy. Adaptive Brightness takes automatic brightness to the next level, learning how you like your brightness in different surroundings, and automatically changing them to suit your personal preferences. Adaptive Battery is similar, learning which apps and services you really care about and making sure to supply maximum power to them, while limiting power usage of apps you don’t use as often. One of the biggest changes facing you immediately in Android 9.0 Pie is the new system navigation. 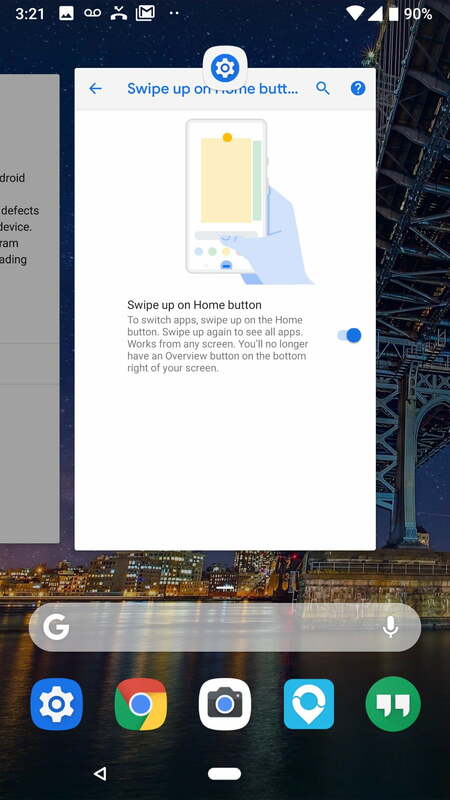 The traditional Android navigation buttons have been replaced with a small pill-shaped icon at the bottom of the screen. 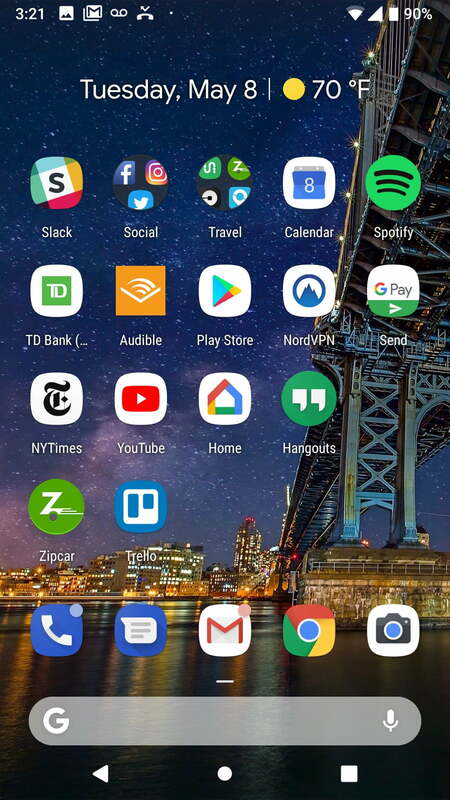 Swipe up from the bottom to see your Recent apps, and a full swipe up will open up the app drawer. Swipe the pill-shaped home button to the right and you can quickly swap back to the last app you were using. The back button still remains, but only when you’re in another app. You can tap the pill-shaped button to go home, and pressing and holding it will open Google Assistant. Android 9.0 Pie also brings a few new gestures, including holding the Power and Volume Up buttons to prevent ringing, and the option to silence your phone by turning it over. One of Google’s major spotlights is Digital Wellbeing in Android 9.0 Pie, ensuring your phone works for you, and not the other way around. To that end, Google is implementing a bunch of handy features that let users limit the time they spend on their phones, see where they’ve spent the most time, and wind down before bed. One of these new features is the Android Dashboard — a feature that helps track the amount of time you spend on your device. With Dashboard, you can see how long you’re using your phone to send messages, stream content, surf the internet, or even make calls. You’ll also be able to set up screen time limits for specific apps, like YouTube, and even receive recommendations to take a screen break. Also new is Wind Down Mode. 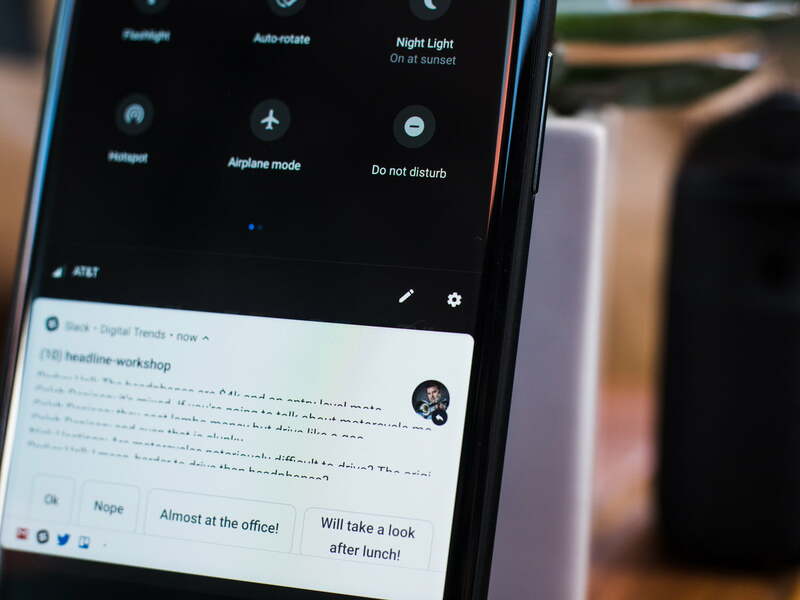 With Wind Down Mode, you can tell Google Assistant when you would like to go to bed, and it will automatically put your phone on Do Not Disturb mode and switch your screen to gray-scale over a period of time. This is meant to encourage you to put the phone down before bed. These Digital Wellbeing features aren’t available just yet, though those on Google Pixel devices can sign up for the beta through this link. It will officially roll out later this fall, with support for Android One devices as well. Do Not Disturb is now much simpler to use. Tap it once and you won’t see, hear, or feel any new notifications coming in (except for alarms). You can customize this to your liking in the Do Not Disturb settings, and like before, add schedules for when you want this to turn on automatically — including when you have an event based on your calendar. It’s not just all about the new features — some existing and beloved features will be getting a fresh coat of paint and some new toys too. Taking a leaf out of Apple’s book, Google is adding zoom to the text selection tool. Basically, a zoom lens will pop up during text selection that allows you to see the text you’re selecting, ensuring that you’re always able to get the right selection. It’s smart now too, and will suggest actions based on the text you’re selecting. If you select an address, for example, you will get the option to open Google Maps directly with the address inputted. You will also be able to select text in the app Overview, so you won’t need to fully switch apps to quickly grab some text. Volume control is getting a minor update too, and a phone’s volume rocker will now control media volume by default, instead of notification volumes. There’s now also an “Edit” button built-in to the screenshot notification, which helps save a few steps. After taking a screenshot, you will get the option to crop, draw over, or otherwise alter their screenshots. Finally, Android 9.0 Pie slightly improves on notifications. Android will suggest smart replies in supported apps, allowing you quickly send contextually-relevant responses without having to open an app. You can also attach photos and stickers and type your own replies from the notification. Notifications also look a little different, with use of a new font, and a cleaner design. Google Maps is the most loved and most used navigation app, but to date, it has largely only worked for driving or walking outside — not for large indoor places like malls. That, however, is about to change. A new feature in Android 9.0 Pie includes added support for “Wi-Fi Round Trip Time,” or RTT, which allows for more specific positioning through Wi-Fi. Indoor positioning, in places like malls, is about to get a whole lot more precise. While Android currently offers a screen orientation lock option, it can be a bit annoying to use when you’re switching between apps. Android 9.0 Pie offers a whole new way to prevent accidental screen rotations. You can pin a screen to a specific orientation through the navigation bar. If you want to switch the orientation, you simply need to tap the icon. Last year, Nokia introduced a new feature called Dual-Sight to some of its phones. With Dual-Sight, you can use both camera lenses on your phone simultaneously to capture images. 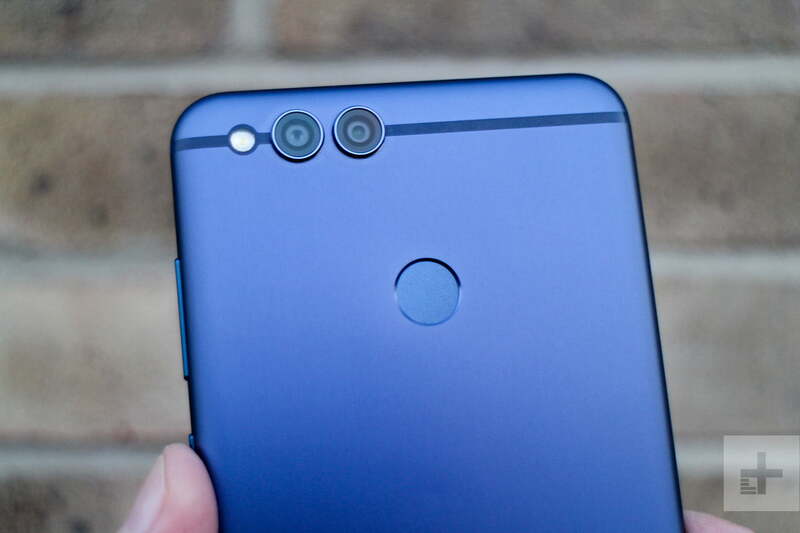 Android 9.0 Pie will make similar features widely available on most Android smartphones, as it allows developers to access streams on multiple phone cameras simultaneously. 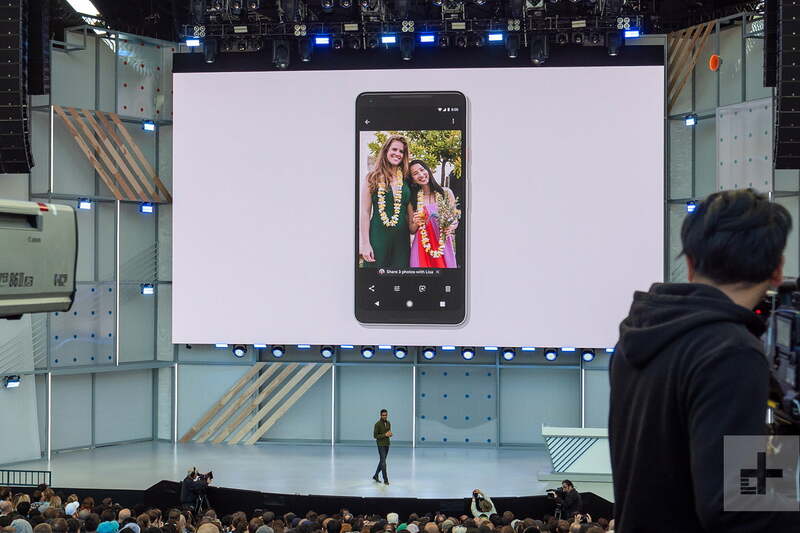 That doesn’t mean a feature like Nokia’s Dual-Sight is now built into Android, but it will be easy for developers to create third-party apps with something similar. Expect to see more than a 100 new emojis in Android 9.0 Pie. You’ll find a number of gender-less emojis, as well as emojis with multiple skin tones and hair colors (or no hair at all). If you want to see all the new emojis that will make their way to your phone in the near future, you can get a glimpse at Emojipedia. The Downloads app is now called the Files app. For now, it seems to be a simple name change, but it bodes well for future expansion of that area — especially with Google flexing similar muscle in its Files Go app. While ML Kit is not Android-specific, it’s a new feature that makes Android 9.0 Pie much more user-friendly. 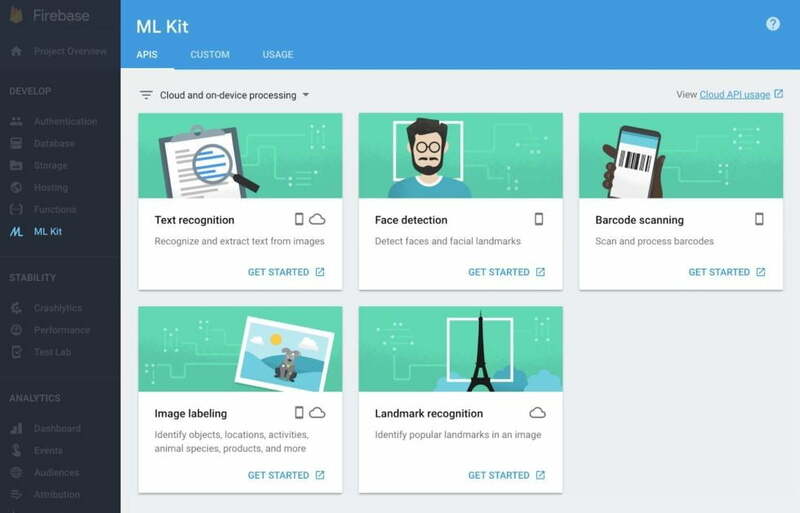 With ML Kit, app developers can use Google’s machine learning tasks within their own apps. ML Kit allows developers to use the camera for face detection, landmark recognition, text recognition, and a host of other recognition features. With each new Android update comes promised battery improvements. This year is no exception. From refining Doze to changing the way apps open on your phone, Google has made lots of changes in Android 9.0 Pie to maximize your battery life. An improved Battery Saver app in Android 9.0 Pie makes it easier to enable Battery Saver as your battery begins to drain. Instead of the option to enable Battery Saver at 5 or 15 percent, there’s now a slider, allowing you to enable Battery Saver once your battery reaches 70 percent or below. As an added bonus, the updated Battery Saver no longer features the obnoxious orange bar — it has been replaced by a persistent notification icon. One significant change in Android 9.0 Pie is behind the hood: Android 9.0 Pie will feature some major Android Runtime (ART) enhancements. These ART enhancements allow apps to rewrite their own execution files on the device, meaning they’ll launch faster and use less memory. Like it or not, the top notch is becoming more ubiquitous on smartphones. 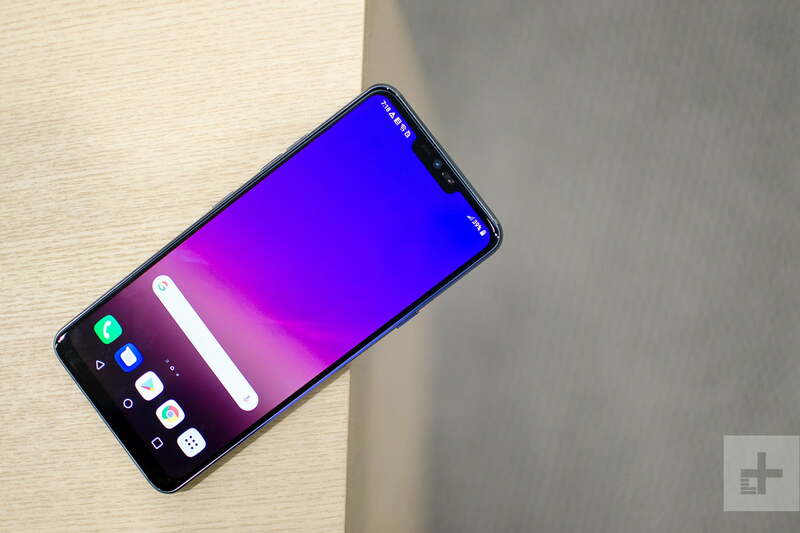 Since Apple introduced the top notch with the iPhone X, we’ve seen it make its way to an increasing number of Android devices. While more and more devices feature the top notch, Android does not currently offer native support. That’s changing with Android 9.0 Pie, which will offer native cutout support. Cutout support should improve the way apps render on your phone, as well as ensuring no content is lost on streaming apps like YouTube or Hulu. While Google typically adds new security features in each new iteration of Android, this year it’s really upping the ante. Android 9.0 Pie features a number of new options to make your phone more secure. Perhaps the most exciting security update has to do with encryption. Android 9.0 Pie will now perform client-side encryption. Any data encryption or decryption that takes place will now happen on your phone and will require authentication from your phone (password, PIN, pattern). 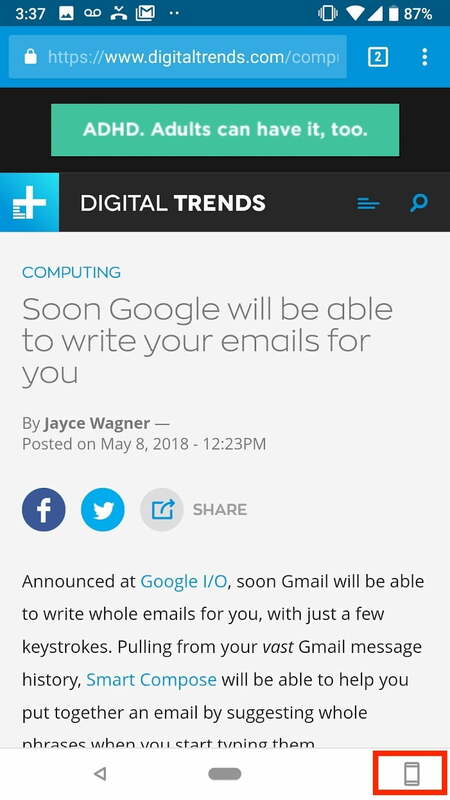 Since Google backs up all of your information to the cloud, this change will make it much more difficult for hackers or other prying eyes to access your information from a computer. Each time you access a network, your device shares its unique MAC address with that network. Android 9.0 Pie offers a new feature that will allow you to create randomized MAC addresses for each network you access. While Android 9.0 Pie will create a random MAC address for each network, the address will not continue to change each time you access the network. 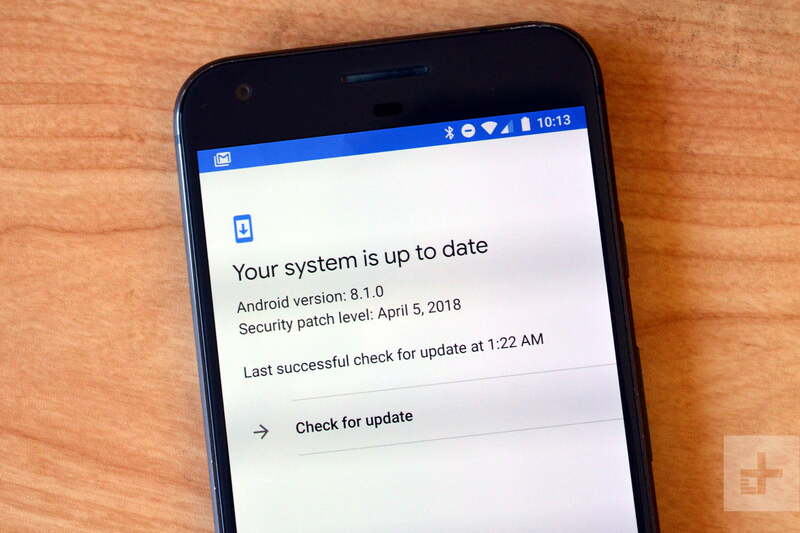 There are several other security features that are coming to Android 9.0 Pie, including a unified user interface for fingerprint authentication, encrypted network traffic on third-party apps, and user notifications that appear whenever a third-party app is using an old API. Google may not have the best track record when it comes to user privacy, but the company is working to improve that. The new operating system version will restrict access to the phone’s microphone, camera, and other sensors. When an app is idle or running in the background, it will be unable to access any of the phone’s sensors (other than GPS). If an app does need to access a sensor while running in the background, it will have to show a persistent notification on your phone. There are a number of other small changes too, such as support for HDR VP9 Video and HEIF image compression, an image decoder for bitmaps, and improved JobScheduler performance. We’ll be adding more features as we find them. Enjoy your slice of pie! Updated on August 6: Added all the info of Android 9.0 Pie’s release.